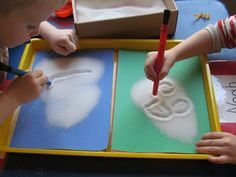 Providing young children with rich writing/drawing experiences lays good foundations for literacy learning. Scaffolding preschoolers' early writing skills is of paramount importance. But the diversity of skill levels can sometimes present a challenge. Some children are still at the stage of scribbling while others are drawing neat pictures from their imagination. Some are still colouring or drawing while others have started making "signs" or formed "letters". So what could I do to encourage my children, support their development level and shape their learning experiences? I took a step back and observed the children in my classroom. One little girl, one day, was playing with a small Montessori numeral rod a wooden box turned upside down. She told me she was drawing! And it hit me. Diversifying writing materials as often and as much possible was a must. Crayons, paint, markers, chalk are a great start but what about the canvas? It doesn't always have to be paper or card. Just gather materials, present it to the children and let them use their imagination. Let them use the materials whichever way they want without preconceived ideas or expectations. Then the possibilities are endless, really, and so are the learning experiences. 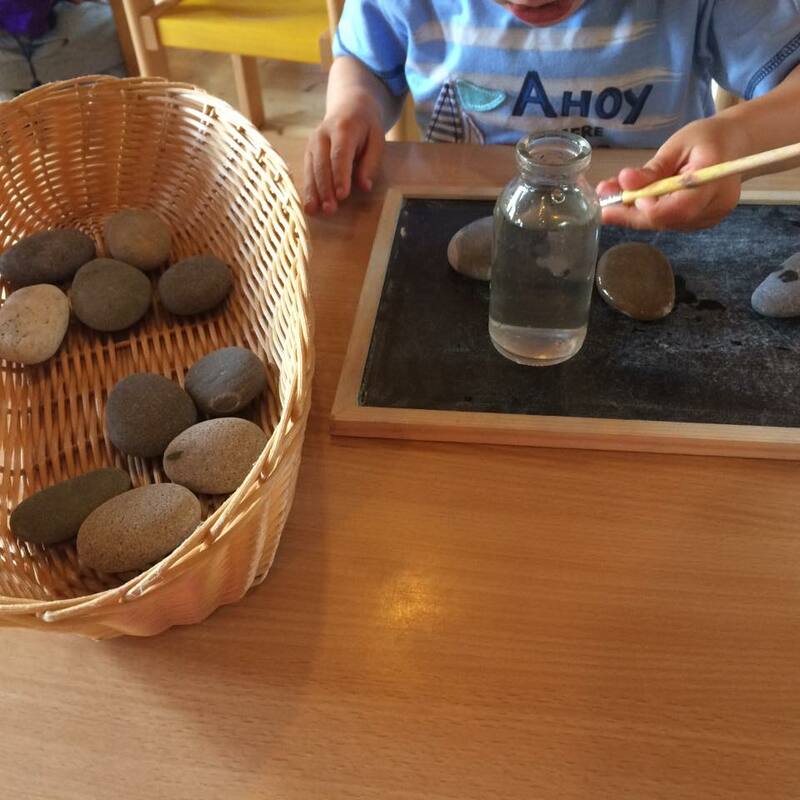 Embracing the Reggio approach, I set up this provocation last week and let the children make the most of it. I gathered pieces of wood, sanded them and placed them in a pile on a middle of the table, with markers, crayons, pencils and pens. I was going to leave paint too but i decided to keep it for another day. 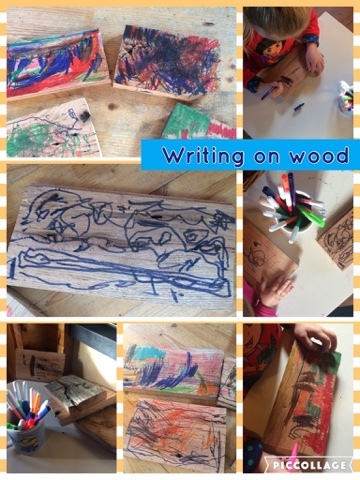 The children looked at the sample I had left inquisitively at first, then sat down and without a word , started drawing/writing on the wood cut-offs. 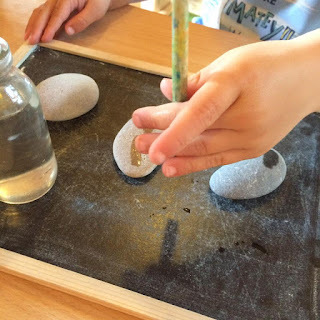 Why not painting pebbles with water? These are only simple ideas which have been used by teachers across the globe. It's just nice sometimes to stop and get out of the daily routine in order to try different things and learn. We all get stuck in a rut at times and it's important to learn from what we observe and to follow the children's interests.